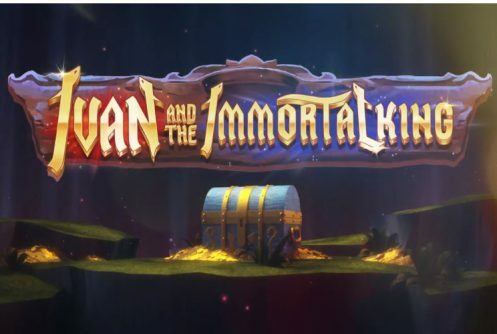 Ivan and the Immortal King is a medium variance video slot brought to you by Quickspin. It features 4 rows, 6 reels and 4,096 ways to win with a top cash prize (non-progressive) of £50,000 on one spin at the maximum bet £50). The game is playable at our UK and Euro Casinos from £0.01 to £50 per spin. A free play version allows players to test the payouts and mechanic of the slots before they play it for real money. 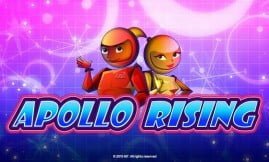 The main feature of the game is its free spins bonus round that awards 9, 12 up to 15 free spins triggered by 3 or more scatters. Wilds, scatters and sticky wilds boost free spins wins and payouts during the base game. A forest serves as backdrop for the reels and symbols on them are various coloured gemstones, the witch, scatters (Bonus) and the wild symbol. Ivan is the most valuable symbol, 5 of them on an active payline at the maximum stake pays 500 coins. Quickspin did not disclose the RTP (average return to player percentage) of Ivan and the Immortal King slot, since it’s a medium offering we believe it to be above 96%. A series of customization options (graphics settings, Auto Play, Max Bet, coin range) allows players to adjust the game that suits their style of play best. The Auto Play function spins the reels from 5 to 100 times automatically. A payout is given when 3 or more symbols of the same kind appear on the reels. To the left of your screen you’ll see multipliers starting with 1x, 2x, 3x, 5x, 10x to 20x these are the steps players must follow in order to defeat Koschei. The wild symbol completes winning combinations when it replaces symbols adjacent to it bar the scatter. It’s a lucrative symbol land 5 of them you’ll pocket 1,000 coins. 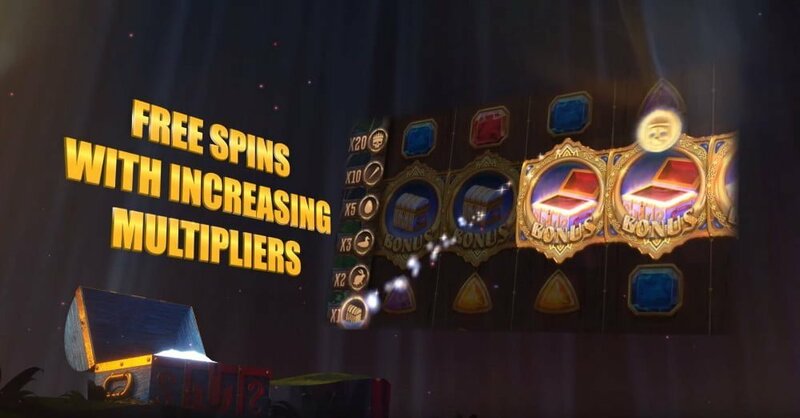 Playing the game is all about the free spins feature, it’s activated when 3, 4 or 5 scatters pitch any position on the reels during the main game. 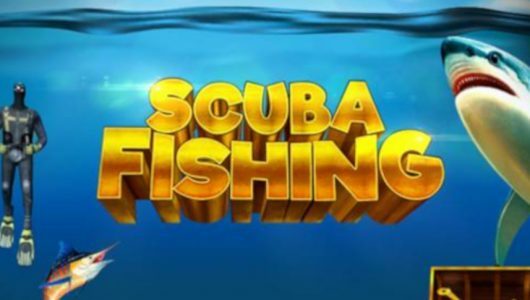 Three scatters gives 9 free spins, 4 awards you 12 free spins and 5 awards 15 free spins. We like the fact that each free spin win is boosted by sticky wilds, therefore it’s possible to win 1,000 coins on a single free spin at the maximum wager. Ivan and the Immortal King online slots is equipped with the necessary tools that allows players to chase the big win. 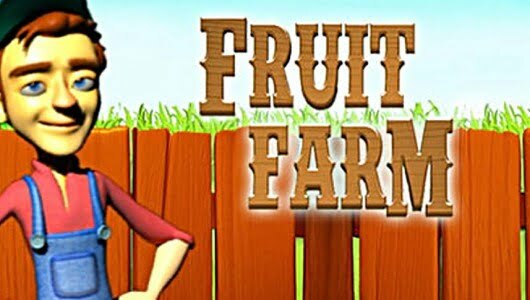 Kitted with smoking HD visuals the most important bonus round is the free spins feature with sticky wilds. 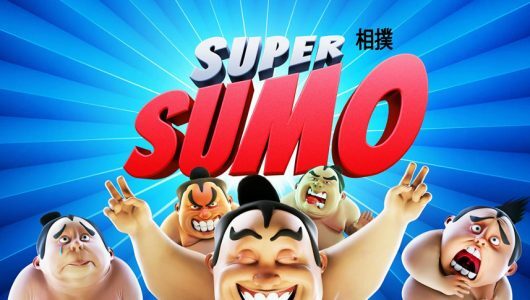 It’s a medium variance slots that’s well balanced and it takes approximately 70 to 110 spins to trigger the free spins. Base game wins are pretty decent too. 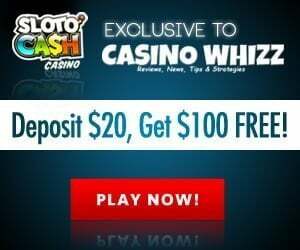 Another Quickspin slots with a similar mechanic and bonus rounds is Ark of Mystery (https://casinowhizz.com/slots/ark-of-mystery-slot-review/). There’s one bonus round and it’s the free spins feature played when 3 or more scatters appear. The amount of free spins awarded are tied into the scatters. Once the feature is initiated a new screen opens up that resembles a battlefield where Ivan and Koschei will slog it out. To defeat Koschei the Immortal you must shoot arrows and use the sword to slay him. For every hit the multiplier to the left of your screen increases up to 20x. If you had more than three misses the bonus mode ends and you’ll return to the main game. Can I play the slots on my mobile phone? Quickspin allows you to play the video slot in your mobile phone’s browser, in other words you don’t have to download an Android .apk file or iPhone app. Bear in mind that the it’s a medium variance slot and the biggest wins is reserved for the free spins. It stands to reason it will be difficult to trigger (within 70 spins) because it’s the most lucrative aspect of the game.